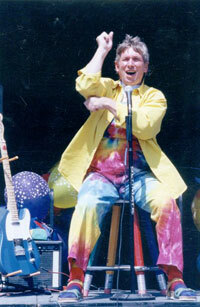 In his lively concerts, Jim Valley leads an interactive musical adventure for the whole family. His energetic performances include original upbeat tunes and good ol classic rock ‘n roll. A former member of the 60’s group, Paul Revere and the Raiders, Jim now uses his talents with children to explore themes of friendship, creativity, self-esteem, and caring for our planet. Still a rock and roller at heart, Jim brings that same high-steppin’ energy and fun to his recorded music and live performances. Kids can’t get enough of it. Adults, too, rediscover the child in themselves through Jim’s music and exceptional rapport with audiences of all ages and nationalities. The music refreshes and renews, brings us into the present, and creates an atmosphere of joy! Jim involves everyone singing and moving to Rainbow Planet songs, including some old favorites . . . Splish Splash, Hand Jive, Johnny B. Goode . . . Turn your special celebrations into a memorable event.Jim is available for a variety of venues including community concert series, music in the parks, holiday concerts, corporate parties, art festivals and children’s festivals. 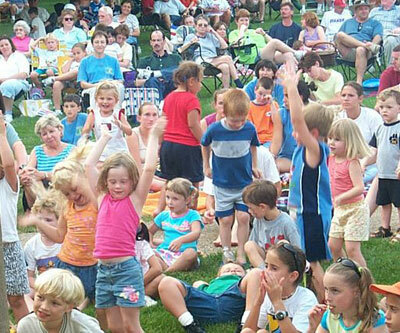 Family evening concerts are held in conjunction with Jim’s school visits. They’re a great opportunity to bring families together, create community and happy memories. Jim Valley leads an interactive musical adventure for the whole family. The youngest to the oldest will love this concert! 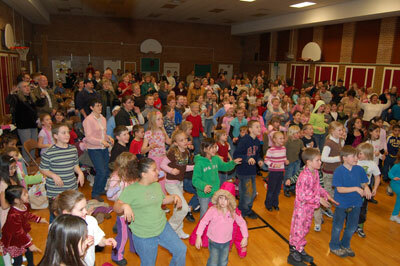 Come dance, laugh and celebrate friendship, self esteem, earth awareness and more. 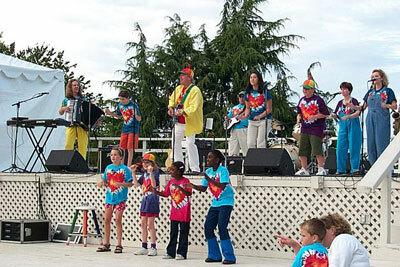 The Rainbow Revue consists of a seven piece musical group plus a handful of Rainbow Rockers (children ages 7 to 12 who sing and model dance movements for audience participation). 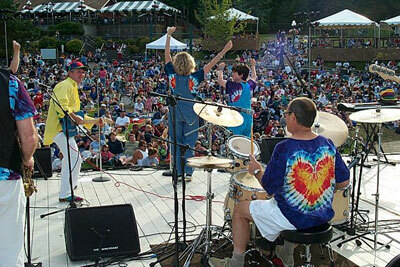 The Rainbow Revue have been performing since 1980 at various events such as the Seattle KOMO Kid’s Fair, Point Defiance Zoo, BumberShoot, and Vancouver World’s Fair where they were sponsored by Washington State. Please contact us for more information or to schedule a concert.